I am definitely a late-bloomer when it comes to The Princess Bride, having first watched the movie a few years ago. When I noticed that Amazon Unlimited had it for free (during the free trial, so it was really free for me), I jumped at the chance to read the book that inspired the movie. I have to say that Rob Reiner did a wonderful job adapting the book for the big screen because from what I could tell from my reading of the book it was very faithful to the novel. The thing that I liked the most about reading this book was seeing all those lines that I know so well from watching the movie written there. One of the things that worried me when I started reading it was that those wonderful lines wouldn't be there that they were the product of the movie. Thankfully, my worries were unfounded. If there are any fans of the movie that have yet to read the book, what are you waiting for? 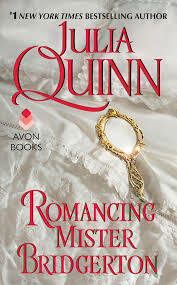 Another book that I came late to was Romancing Mr. Bridgerton by Julia Quinn, which is part of the Bridgerton Series. This book is the 4th in the series and focuses on Colin Bridgerton and Penelope Featherington. I've actually just finished re-reading this book last night (the second time in 6 months) and I just love the chemistry between Colin and Penelope. They remind me a lot of Miles and Henrietta from The Masque of the Black Tulip by Lauren Willig. The only thing that was slightly disappointing about this book was that the conflict at the end, while always a possibility, felt unnecessary, although its resolution was done really well. I felt as if it was added in there just to cause drama once Colin and Penelope were finally happy. Last year, I discovered Julie James novels and glommed her FBI/US Attorney series in less than a week's time. I loved them, especially About That Night, the hero of which, Kyle Rhodes, is listed as one of my all time favorite romance novel heroes. As soon as I finished Love Irresistibly, I wanted more. Unfortunately, there weren't any more. At least not until this past June when It Happened One Wedding was released. 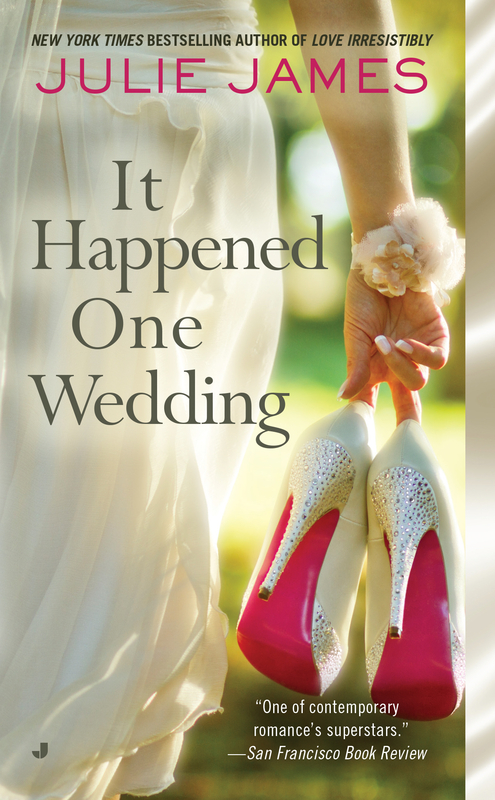 IHOW is about Sydney and Vaughn (no, not that Sydney and Vaughn) and their road from really really disliking each other to falling head over heels in love--all while hiding the fact that they even knew each other from their siblings for whose wedding they are serving as Maid of Honor and Best Man. It was a sweet book, especially the passages in which Sydney would text Vaughn for dating advice while on dates with the other men in her life. Those were actually my favorite parts of the book and the rest of the book was great too. I've been longing to re-read it since July (and I only read it at the end of June!) and I'll probably do just that soon. 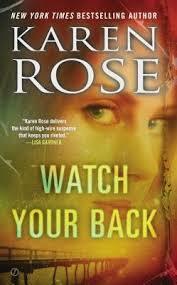 Last February, I was really excited to start Karen Rose's Watch Your Back because it felt like we were waiting for Stevie and Clay's story forever. A lot times when the anticipation was as strong it was for this book, disappointment is bound to occur. Surprisingly, Watch Your Back lived up to all of my expectations. The one thing that bothered me about this book was that the villain fell into one of the oldest stereotypes in the book: gay = evil. I don't know Ms. Rose's political leanings and I hate to say that it would make me stop reading her books if I found out she was homophobic, but that's exactly what would happen. I've read every single one of the Bishop/SCU novels, although I had stopped for a couple of years, missing the last three books in the series. This past October, I decided to get back into them, starting by re-reading Out of the Shadows and several of her other books. When I finally got to the end of my favorite Bishop books, I decided to start on the newer ones. Haven was meh, Hostage was better, and Haunted was awesome. The main issue I have with these novels is that as the series has progressed romance has taken a back burner to the paranormal mystery and at times it feels as if what little romance there is in the book is rushed. This was especially true of Hostage where there wasn't even any chemistry between the people who were supposed to be the hero and heroine. 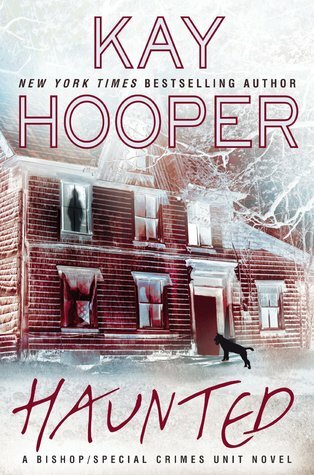 You're probably wondering why I consider Haunted to be one of the best books I've read this year. The answer is simple. Hollis Templeton. She is really the hero in this last trilogy (the Bishop novels are split into trilogies) and in Haunted Hollis really comes into her own. I first encountered this book at Lady Jane's Salon in Manhattan. The author came and read the opening pages of the book at one of the salon's (if you're in the NYC tri-state area, I highly recommend the reading series--it is one of the few things that I really miss about New York. I really wish someone would start a Bay Area version that was close enough for me to get to every once in a while. Anyway, Sunday is one of the seven Woodcutter children, each of whom has some sort of special gift. Sunday's is that she can make her stories come true. One day, she's sitting around when a frog shows up and starts talking to her. The frog, Grumble, wants to be turned back into a human and asks Sunday to kiss him...What follows is a fun mash-up of different fairy tales. 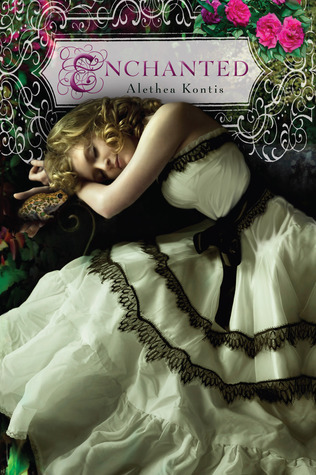 When I first read it, I couldn't help thinking that it is what Once Upon A Time would be like if it was a book (well, the origin parts anyway. There is a decided lack of Evil Queen-ness in this book, although the king isn't exactly the nicest guy on the planet). This book is not a romance novel in any way, shape, or form, but I had to include it on this list. I'd seen the movie and really enjoyed it, despite the fact that it is most decidedly out of my wheelhouse. 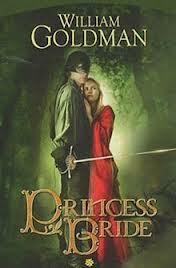 The book is far better than the movie, which unlike The Princess Bride is not the most faithful adaptation. The ending, especially, is very different and I much prefer the book's ending to that of the movie. Well, there you have it. The seven best books I've read in 2014. Of course, there are still 3 weeks left in the year, so if I read some really good books in that time, I will do another post, but for now: That's all, folks. Love Romancing Mr. Bridgerton! 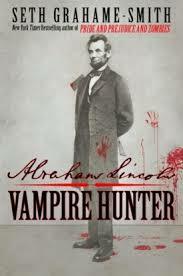 It's one of my favorite books! I only started reading JQ's books at the tail end of 2013 and I was so mad at myself for not doing so earlier. Romancing Mr. Bridgeton is by far my favorite book she's written; I just re-read it last month, and it is still just as satisfying as it was the first time. The Secret Diaries of Miss Miranda Cheever is another one of my Julia Quinn favorites! I actually haven't gotten to that one yet, but I've heard a lot of really good things about it. It's one of her best. I laughed and cried when I read it. And it's the top Julia Quinn book I'd recommend, since it's the start of a new series. I'd recommend Romancing Mr. Bridgerton too but I think you need to read the first 3 books to appreciate Lady Whistledown.